Identity theft is a serious issue that can affect major areas of your life. It can prohibit you from getting a credit card or getting approved for a car loan. It can even ruin your chances of getting a job due to a poor credit report. Identity theft has been around for hundreds of years, but with the rise of technology, it has become more common. In early American history, identity theft was more focused on voter registration and had more to do with ballot stuffing. But things changed in the 1930’s with the 21st amendment. This was the law that repealed prohibition, and alcohol was once again legal. Initially, the legal drinking age was determined by individual states until 1984 when the US Congress passed the National Minimum Drinking Age Act USC, Section 158. Before the minimum age of 21 was set, college students would often travel across state lines where the drinking age was 18 or 19. In many cases, a fake ID was used as an early form of identity theft to enable underage drinking. 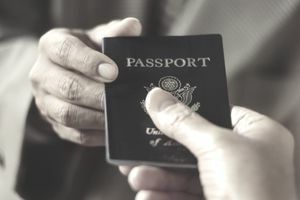 The practice of using someone else's identity became prominent with the influx of illegal immigrants in 1965, with the passing of the Immigration and Nationality Act. Prior to this law, illegal immigration was far less prevalent, because there were policies in place that allowed migrant workers to come into the country during harvest seasons for various labor jobs. Although communities and states had the odd collection of laws against migrant workers living in the US, these laws were usually overlooked since illegal immigrants tended to establish themselves and contribute to the community. The last piece of legislation that sparked the wave of immigration-related identity theft we contend with today was the Immigration Reform and Control Act of 1986 (Public Law 99-603, 100 Statute 3359). Since the passage of this law, all employers are required to fill out a US Citizenship and Immigration Services form, commonly called an I-9 form, for each employee. This requires government-issued documents to be furnished to prove the employee is legally allowed to work in America. This, in turn, has driven the need for valid social security numbers and driver’s licenses for identity thieves. Today, this is the primary cause of social security identity theft. Credit is earned. A person with a good credit record has paid their bills consistently and on time for years. There are significant rewards associated with a good credit report: more credit is made available at a lower interest rate. A person who steals another person's credit essentially steals his or her reputation, leaving the victim with little or no access to low-cost, high-quality credit. This can be a very big deal, both for the victim and for the creditor. One of the most common forms of identity theft revolves around credit reports and credit cards. The heightened awareness of this type of identity theft stems primarily from credit card companies, who have dealt with fraud almost since the credit card was invented. But as you are not responsible for credit charges that you didn’t make, credit card theft may not be a serious issue for consumers. Consumers should be more concerned about their debit cards. Although they usually have the logo of a credit card company, these actually access a bank account. This isn’t a line of credit, where you can dispute charges. Instead, this is your hard-earned money that pays the bills and buys the food for your family. True, you can work with the bank to get fraudulent charges reversed, and they will eventually give your money back in some cases, but this process can take up to two months. For some families, having just one month’s earnings unavailable for that long could prove disastrous.